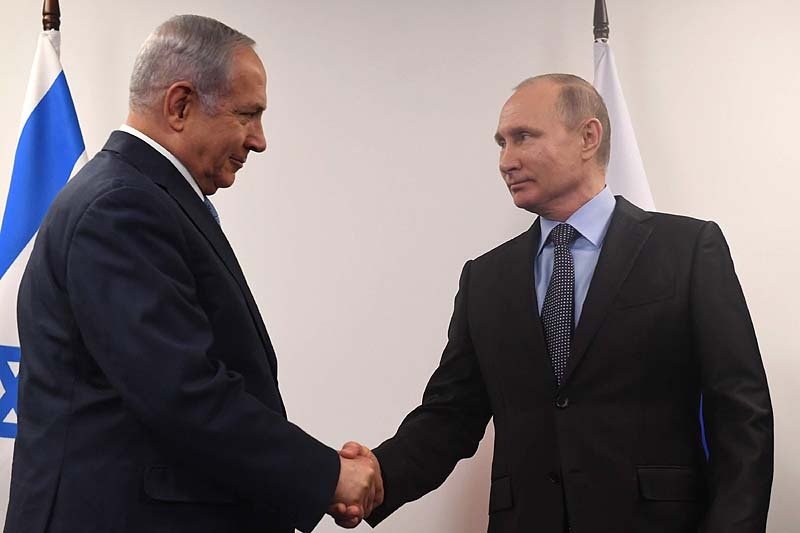 Netanyahu meets Putin in Moscow, January 29, 2018. Prime Minister Benjamin Netanyahu is set to meet with Russian President Vladimir Putin in Moscow later this month in their first meeting since Syrian soldiers firing anti-aircraft missiles accidentally shot down a Russian spy plane in September 2018 following an Israeli air strike on an Iranian military position. All 15 personnel aboard the aircraft were killed. At the time, Russia’s defense ministry publicly held Israel responsible for the incident. Speaking from his meeting with Austrian President Alexander Van der Bellen, Netanyahu told reporters, “It’s very important that we continue to prevent Iran from entrenching in Syria. “In many ways we’ve blocked that advance, and we’re committed to continue blocking it, preventing Iran from creating another war front against us, right here opposite the Golan Heights,” the prime minister said.